How to Teach Your Kids Spanish in a Non-Native Household. With Aileen Passariello-McAleer, Ep 004. Today's guest is Aileen Passiello-Mcaleer - Venezuelan-Italian, mama of two, born and raised in the US. Aileen grew up in a Spanish speaking household but spent most of her life and school speaking English so while bilingual was the norm in her household, it wasn't until Aileen had her children, that she knew she wanted to pass Spanish onto them. 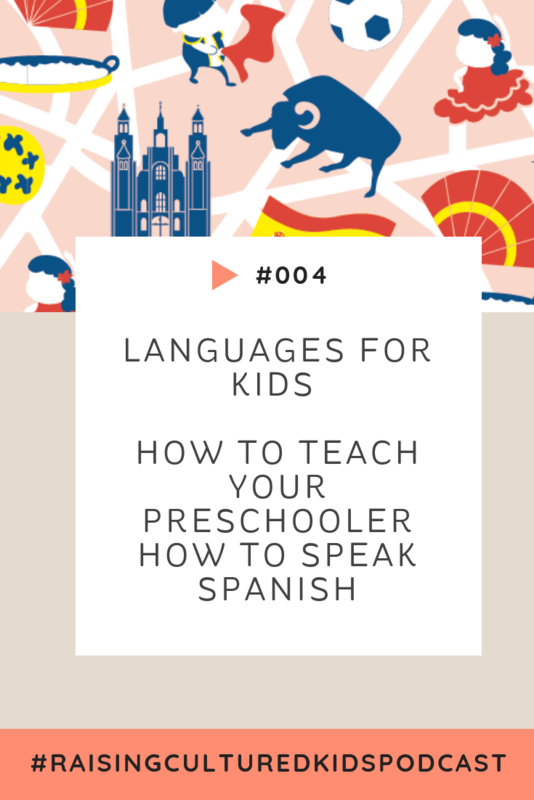 Not only does Aileen share her experiencing re-learning to speak Spanish again "use it or lose it" but she shares how she started a Spanish playgroup for parents at her home which ultimately led to her starting the MamaLingua app to help non-native speakers, introduce Spanish into their homes. Integrating everyday routines into everyday language. The benefits/importance of regaining your native language. Regaining a language once lost. Heritage and a sense of belonging. - Chunk learning” and what it is. Aileen's vision and how outworked it/implemented it. What taking the first step looks like. The why behind the what: who was the app created for. Aileen shares her passion to create resources that will equip families to engage their kids in Spanish and make it normal for kids to grow up bilingual. "Pick your Spanish sanctuary, kitchen, bathroom, wherever and start with 5 words and phrases then gradually replace it. You don’t have to make it so overwhelming - learning is a lifelong journey. Create tangible goals and take your first step." "Try to learn the 20% of the language out of the 100% that is there. What are the sentences you use on a daily basis? Keep it simple and start with simple, everyday language." If you’re wanting to teach your kids how to speak Spanish, I encourage you to Download the app. Get familiar with the words and sentences and find your confidence when it comes to teaching your kids a whole new world! We would love to hear from you! Get connected, get involved, send us your testimonies, stories, or any of your questions! Follow us on Facebook or Instagram or get inspired over on our Pinterest boards. Join our Free Online Community and Teach Your Child a Language by visiting The Cultured Kids Club for French, Spanish, Italian, Mandarin, German and English resources.